Perhaps Zardari and his party wasted too much time in reading the entire political game, for crying over spilt milk now will not make a difference. Finally, the noose has tightened around Mr Asif Ali Zardari and other stalwarts of the Pakistan Peoples Party (PPP). 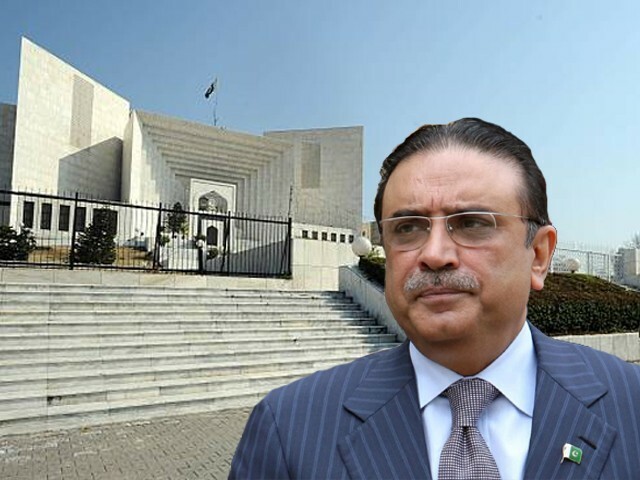 A joint investigation team (JIT) report presented before the Supreme Court (SC) accused Zardari, his sister Faryal Talpur, Sindh Chief Minister Murad Ali Shah and others in 16 different cases pertaining to money laundering, misuse of authority and allotting government land to a private housing society at low prices. The 128-page long JIT report is comprehensive and can be termed as solid evidence of the wrongdoings committed by Zardari and his accomplices. How Zardari will defend himself in the court remains to be seen, but he has hinted towards fighting this case on political grounds. The fierce speeches from Zardari and Bilawal Bhutto Zardari are a sign that the PPP has finally read the writing on the wall. Perhaps Zardari and his party wasted too much time in reading the entire political game, for crying over spilt milk now will not make a difference. When Zardari toppled the provincial government of the Pakistan Muslim League-Nawaz (PML-N) in Balochistan and lent his support to get Sadiq Sanjrani elected as the Senate chairman, he thought he would be spared; he thought he could have his cake and eat it too. But Zardari miscalculated the situation, and is now trapped. However, he has no one but himself to blame for the situation he is in. Had he avoided becoming a pawn in this game of power politics and not lent support for the downfall of Nawaz Sharif, the picture could have been entirely different. 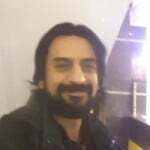 As far as the allegations against him and his close aides are concerned, there is no doubt they need to be investigated, and Zardari should face the trial in the National Accountability Bureau (NAB) court. However, the way the Pakistan Tehreek-e-Insaf (PTI) government is handling this case – by politically targeting the PPP and the Sindh government – shows that PTI is more interested in political point scoring and keeping the masses busy with the rhetoric of accountability. PTI has no business anticipating NAB’s decisions about Zardari and his accomplices, and by putting Shah’s name on the exit control list (ECL), its government has given an opportunity to the PPP to play the Sindh card. It has also worsened the already fragile relations between the province of Sindh and the federal government. There are rumours of a possible governor rule or an in-house change in Sindh. If the rumours are based on strong information from reliable sources, then the PTI government is surely digging its own grave. PTI does not enjoy a majority in the centre or in the province of Punjab; hence, by making any such move, PTI will open the door for PML-N and PPP to create forward blocks in PTI’s own ranks in order to topple its government in Punjab and in the centre. Perhaps the PML-N and PPP will not be interested in bringing change in the centre and will let the PTI fail in delivering upon its promises, but the margin of PTI’s majority in the Punjab Assembly is very thin, and any move to topple the PPP government in Sindh can virtually lead to a no-confidence move in the Punjab Assembly. One hopes that sanity will prevail in the ranks of the PTI and it will let the institutions of NAB and the SC decide the fate of Zardari and PPP, and not exploit the situation to its own advantage by toppling the PPP-led Sindh government through an unconstitutional move. Regarding the concerns of Zardari and Bilawal about the reversal of the 18th Amendment and the possible introduction of a presidential form of government, one wonders why have they suddenly realised these possible threats after the JIT report emerged against them. Seasoned politicians amongst the ranks of the PPP were talking about this since last year, but Zardari never listened to them then. Raza Rabbani and Farhatullah Babar on many occasions reminded their party that some forces were working to reverse the 18th Amendment and working to introduce a presidential form of government, but at the time Zardari was busy helping oust the PML-N. He even refused to give the Senate ticket to Babar, and also refused the PML-N’s proposal to make Rabbani the Senate chairman again. Time lost cannot be gained back, and now Zardari’s statements on these issues can only be treated as mere political stunts in order to somehow work his way towards a reconciliation deal. Perhaps he will successfully build this narrative of victimisation in rural Sindh, but in urban Sindh this will be a hard feat for him to achieve. Not only has he lent his support towards undermining democracy, his party’s dismal performance in the province of Sindh, shrouded with allegations of massive corruption, will also create trouble for him if he tries to launch a massive agitation movement or a narrative of sympathy like Nawaz. Nawaz was able to create the narrative of victimhood because the JIT report against him was not conclusive and only raised more doubts, whereas in the case of Zardari the report is conclusive and even contains the account numbers and transactions of money laundering. The other factor that went in favour of Nawaz was the performance of the PML-N in Punjab and the federal government. The mega projects, the infrastructure development, and success in overcoming the power crisis and terrorism made Nawaz and his party popular, whereas Zardari is solely banking on the legend of Benazir Bhutto and Zulfikar Ali Bhutto, which can only sustain him for so long. Thus Zardari cannot take the path of resistance for too long, nor does he have a great chance of success unless Fazalur Rehman’s Muttahida Majlis-e-Amal (MMA) and PML-N join hands with him. To put it in simple words, unlike what is said about Zardari – that he is the champion of politics and can oversee the future chain of political events – he has been inept at understanding and making the right moves on the chessboard of power. As far as the process of accountability is concerned, it only looks to target both PML-N and PPP, as we are still waiting for JITs to be formed on the cases of Aleema Khanum, Aleem Khan, Pervaiz Khattak, Jahangir Tareen, Babar Awan and other members of PTI. Accountability needs to be across the board, and other institutions who are sitting on the pedestal of the ‘holy cows’ should also be brought to the table. After all, only these politicians are not responsible for corruption, nor are they the only ones who misuse authority and mint money through illegal means. Unless the ‘holy cows’ are also being investigated, this accountability exercise will not yield any results and will only create more political and economic turmoil in the country.